Cream of broccoli soup is just what the doctor ordered! 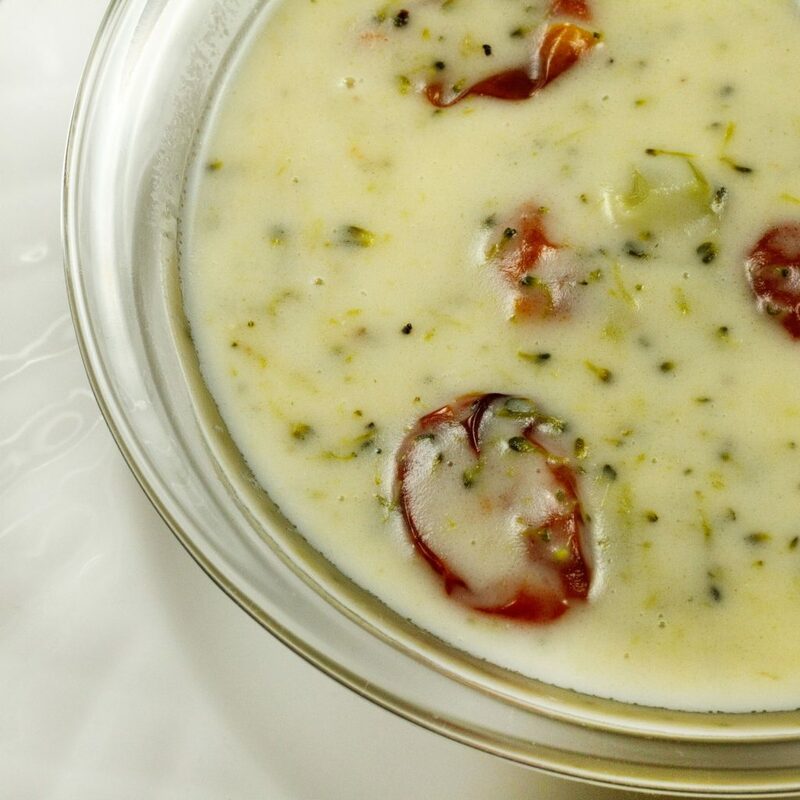 Fresh broccoli, roasted grape tomatoes and aged cheddar, make this Broccoli soup one to remember! How about my cream of broccoli soup for dinner tonight? I’m sure your friends and family will be happy you made it! One of my recent classes was on cream sauces and soups, and for my soup, I decided to make Cream of Broccoli. I decided a little variation was in order and added roasted grape tomatoes and cheddar to the soup. And it was a great decision! The flavors were in perfect harmony, the subtle hints of aged cheddar, along with the sweet roasted tomatoes added a depth of flavors to the rich creamy broccoli soup. Now I know what you’re thinking, what a fattening unhealthy soup! Au contraire mon ami….. don’t you know that broccoli and tomatoes are both considered super foods, and those nutritional powerhouse foods are loaded with nutrients that are so important to a long and healthy life! Now, don’t you feel better knowing that! Just add a few slices of crusty (whole grain) bread and you’re all set for a healthy delicious lunch! Soups are a great way to use leftovers and can be made up of just about any ingredients. Have fun in your kitchen developing your own soup recipes using the basic techniques I use in my recipes. Your family will love the variety and the deliciousness you serve up at mealtime. What is your favorite soup to make? What is your favorite soup to eat? 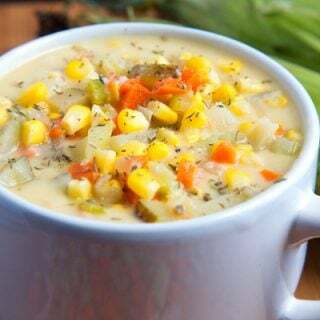 If you enjoyed this soup recipe you may also like my Corn Chowder recipe and my Italian Wedding Soup recipe. 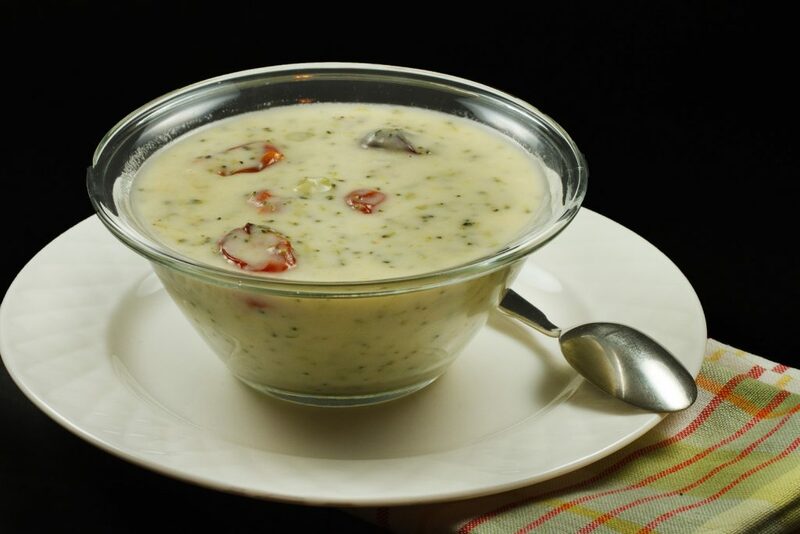 If you’ve tried my Cream of Broccoli Soup recipe or any other recipe on askchefdennis.com please don’t forget to rate the recipe and let me know where you found it in the comments below, I love hearing from you! You can also FOLLOW ME on Instagram @chefdenniseats and @chefdennistravels, Twitter and Facebook. If the soup appears too thick thin it out with water, reseason as needed. I love that you beat that G+ Drum and as always thanks so much for all of this valuable information. You don’t know how much I appreciate *you* Chef Dennis. Chef Dennis, This sounds delicious. I love the sounds of it tonight. The photography tips are priceless. I really REALLY need to learn more as well! hmm, i haven’t really considered getting onto google+ before, maybe it is time. this soup looks fantastic, and the addition of roasted tomatoes is genius! My father went on and on, telling everyone about your soup. I just had to let you know, I agree with him. It looks fantastic! Thank you so much Joanne, you made my day! Please be sure to thank your father too! Hi Dennis! Thank you for the mention, and I am glad to hear that you are using some things that you picked up from the workshop. 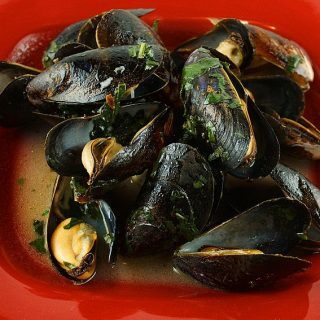 I had a great time learning more about food from you! One more little tip for anyone shooting food… try to not light from the camera angle, or anywhere near it. I’m speaking about main light. Try to use back and side lighting for better dimension and understand that light coming from the front is flat (bad) light, not descriptive (good) light. Think of your subject from overhead as sitting in the middle of a clock face, with the camera at 6 o’clock. Make sure that no main light comes from anywhere between 3 o’clock and 9 o’clock. Of course, a soft reflected light to fill shadows is fine from the front, but this should be subtle, and at least one and a half f/stops less light than your main light. Thanks Harold! I appreciate the tips, I certainly can use them! I’m still hoping to move everything to another room where I’m not cramped into such a small space to shoot, then I can start moving lights a little more. I hope your move went well, and as soon as things slow down I do want to go over some of the PS techniques with you again, I’m so close, but I know I’m still missing some. Oh how I love soup…especially broccoli soup with cheddar! And I love your Ask Chef Dennis posts.You give great advice. Thanks for being my first follower on Pinterest and Twitter. Made me feel welcome. It was a nice way to start off. I’m still figuring out G+. On the waiting list with Pinerly. Thanks so much for sharing all this valuable info. Can you please express mail a bowl of that soup to me? It would be perfect now while we are cuddled up on the couch waiting for this crazy sand storm to end!!! Great segment once again. I have to admit that I’m one of those that has a google + account that never uses it. Thanks for reminding me to get to it! Hope you have a great rest of the week! Every time I think I’m having bad weather, your having crazy weather!! A Sandstorm?? OMG, I don’t even like getting sand on me at the beach, I just can’t imagine! Hope everything calms down there and you get some peaceful weather! This is so much better than the Tim Horton broccoli soup that I used to eat. Also, the Google+ information was invaluable thanks a bunch. Your soup looks marvelous, Dennis! And thanks, again, for sharing all your blogger tips with us!! love the addition of roasted tomatoes chef! the soup looks delish. Such simple and natural ingredients. This soup looks delicious. Love the idea of the roasted tomatoes with the broccoli. Your soup is amazing…I’d love to have some right now! I adore the tomatoes in it also! Thanks for all the wonderful, helpful info on social media and photography. I still don’t have that great camera yet and still learning. I’m on Google+, but guilty of taking advantage…all the social media can be overwhelming sometimes…but I heard your advice! This soup looks awesome and I love those roasted tomatoes. Yum! I LOVE soups. Especially broccoli. What a twist on it you’ve created! A perfect feast to go with an Irish beer! Your soup looks so elegant. Thanks for the photo tips, I am working on the white balance but sometimes end up with blue or pink tint. Then sometimes the colors are too dark. Nevertheless it is a lot of fun. I am really enjoying the challenge. Have a wonderful weekend. Heading to the Orlando Foodie Festival on Friday. Should learn a number of things there as wel..
it really isn’t anymore difficult than facebook, you go in add a link, make a comment and share it to the public. thats it, of course you can spend more time browsing, I love it because I find such a great variety of information, old songs, new songs, pictures, jokes, it very entertaining, and these are real folk who might become loyal readers. This soup is made straight for my heart. I am fighting a cold right now and there is nothing more I would like than a bowl of this right now. Yum! I know I don’t use Google + enough. There just isn’t enough time for everything! Need more hours in the day! 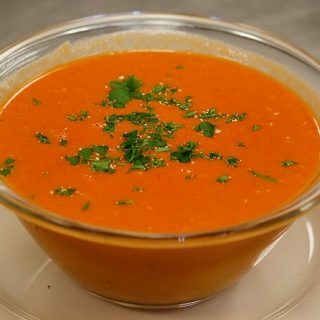 Soup looks creamy and delicious, I like the addition of roasted tomatoes. I am not much into St. Patrick’s Day either, but I am not Irish! it really doesn’t take long, but the rewards are so much greater than facebook or twitter, because the more your seen on G+ the more your seen on google searches! I’m barely Irish, and I really don’t love the food,so its rare I make anything Irish! I’m with ya on the whole “it doesn’t have to be green to be the perfect St. Patrick’s Day dish.” This soup sounds amazing!! I would really love a bowl! Buzz! I admit, I’m one of those people who hasn’t taken the time to fully utilized Google+. Great reminder. Will check Irvin’s page for more info. 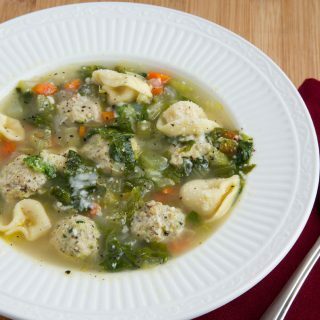 Now this soup, I love broccoli soup but your version makes it even more appealing! Perfect for today’s rainy weather! 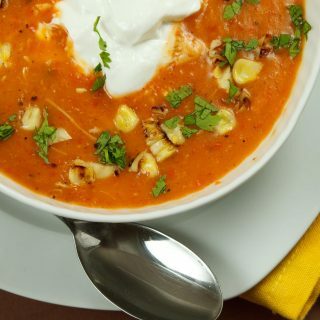 this soup is lovely – i love the addition of the roasted grape tomatoes and cheddar….it really sounds fantastic. I promise, I’ll give G+ a go very soon, still trying to come up for air enough to start posting again regularly….and definitely will check out pinerly. All you’ve shared is once again so valuable, all the info on photography, and everything you put out there to help us become better at what we love….we appreciate you SO VERY MUCH. I love broccoli soup! 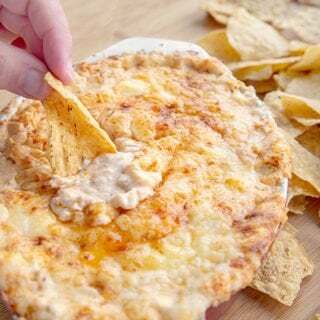 What a nice recipe this is and I have never had it with tomatoes! What a nice addition! Thanks for the photography section. I am going to look into getting Photoshop. I have Picasa and it doesn’t have all the capability I think I need. you can get a student / teacher edition at a substantial savings, check those out. Elements would even be enough, I still use that sometimes instead of CS5. It really will make a difference in your images. I know there is so much to do, but you will get much better returns from G+ because the more your on there and mentioned, the more Google will pay attention to you, your hits from google will really grow! Much better use of time than facebook or even twitter. mmm.. I needed a soup for today… thanks! I have all the ingredients in the fridge. Not feeling much myself today so I am going to cook someone else’s dish… yours! Now, what’s this G+ thing you’re talking about? Going to google away for some info. G+ is Google+n the new social media that’s taking the world by storm! Its a really cool platform, you can communicate with the world, or anyone you choose and do it privately, very easy to use, and my google hits have skyrocketed since using it! Check it out, its free to join, just make sure you fill everything in, people are more apt to follow you when they know your putting effort into it! I found you on G+, you can just follow the link to follow be back! It’s really easy, just put up a link to your blog post, make a comment about it and share it to the public, and your done! Just be consistent so people get use to seeing your creations! Love the soup!! I’m a big fan of the broccoli soups, but have never had it with tomatoes. Nice idea! Great tips, as always, Dennis. Thank you!